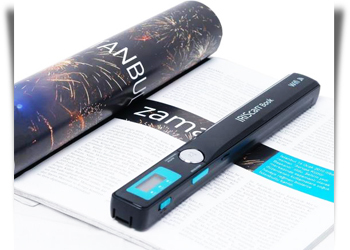 A document scanner is a device, which converts a document or text from its paper form into digital data. The current trend in document scanners is considered a big step toward effective document management. Document scanners reduce time and labor to transform the information from printed materials to digital data stores, for example, to the hard disks of a personal computer or to storage in the cloud. In addition, using a document scanner, it is possible to recover, retrieve and preserve old or valuable documents. Scanners used by us includes Miru, Plustek, IRIS and DRS.